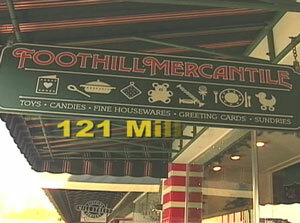 Foothill Mercantile is Americana revisited where a small town variety store captivated the imaginations of both young and old. Specializing in toys and gifts for all ages, they also have an incredible greeting card section as well as a fine selection of handmade chocolates, fudge and a variety of old-fashioned candies. They have been offering the best quality service for all of Grass Valley and Western Nevada since 1976 and have affordable and fun products with the most caring staff.